Glean. verb. collect gradually and bit by bit. historical: gather (leftover grain or produce) after a harvest. I’d like to argue with the definition above. The meaning, in the agricultural sense, is not just historical, but it applies to contemporary agricultural societies as well, like Martha’s Vineyard! Sunday was my first official glean. 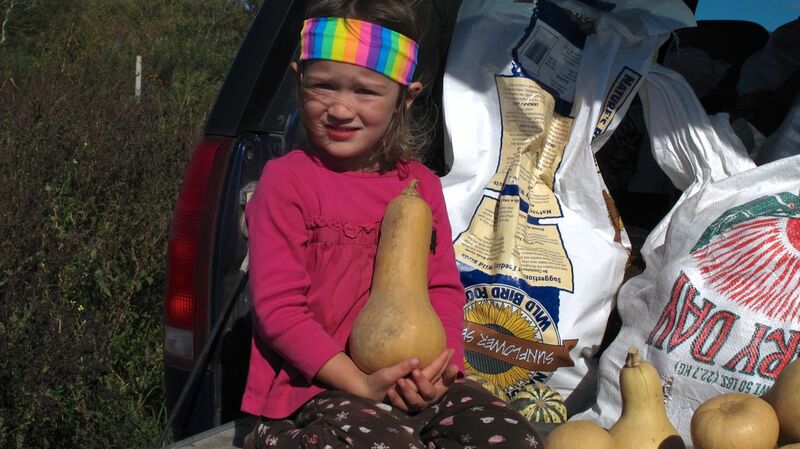 I helped out with a squash harvest at Whippoorwhill Farm. 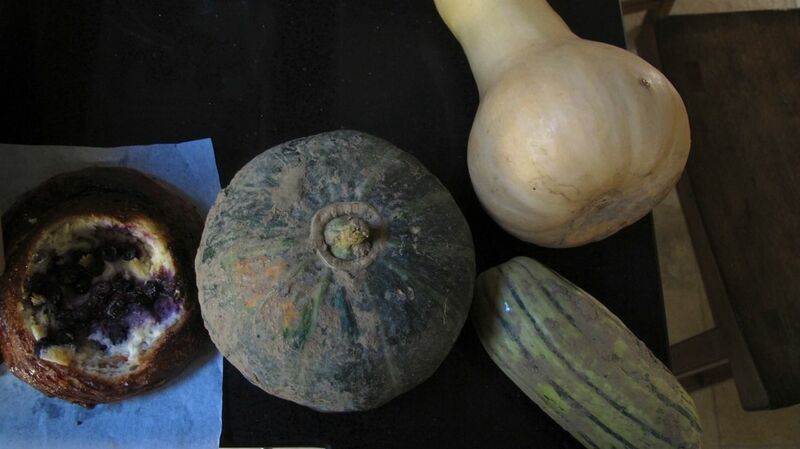 When I arrived there were hundreds of squash still to be gathered, and I could not believe that in a matter of minutes, maybe twenty or less, it was all gathered into boxes and centralized. Power in numbers! 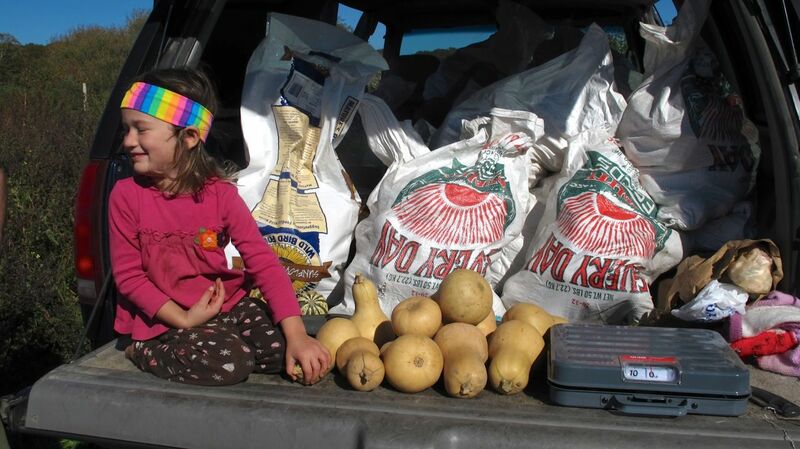 We distributed some 600 lbs of butternut squash to the island food pantry. 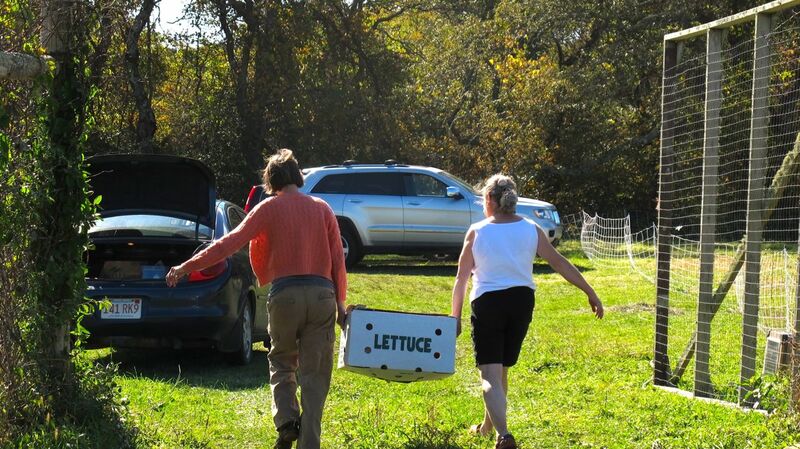 That same day, we also harvested a few delicata and kabocha sqaush, my personal favorite for its rich, buttery taste. Later, I managed to gather a blueberry danish from Cafe Moxie as well. Some of these squash will likely go into a mixed bean and kale stew. 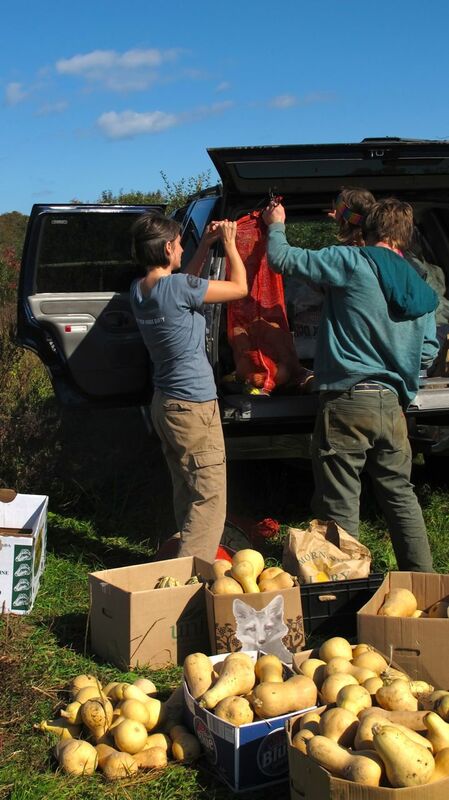 The glean was organized by Island Grown Gleaning, a component of Island Grown Initiative (IGI). The following is a blurb from the IGI website, which you should totally check out if you are interested in how a community builds a network to support local agriculture, health and education. We strive to increase both the supply and demand of locally grown food for the health of the environment and our community through our five core programs: Island Grown Schools, our farm-to-school program; Island Grown Meat; Island Grown Poultry; Island Grown Bees; and Island Grown Gleaning.